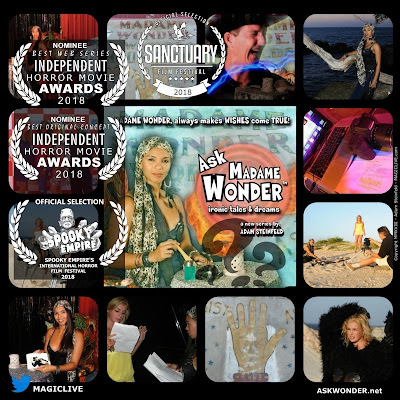 a comedy magician and filmmaker, director, producer under his banner; Magic Live!®, other media projects; Houdini Lives!, Ask Madame Wonder? 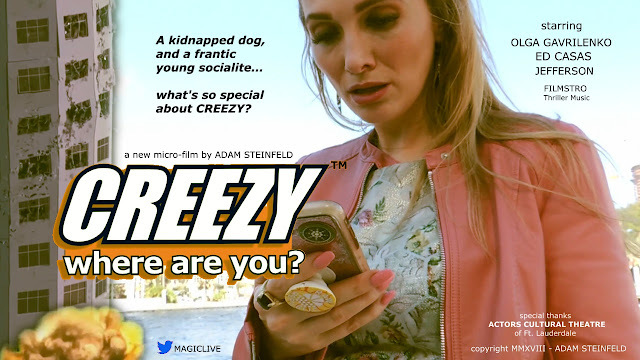 a twisted-tales series, Yo Houdini supernatural series and the micro-film thriller; CREEZY, Where are you?, and many more. 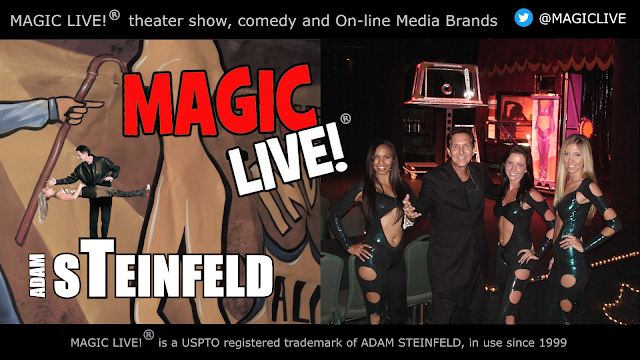 MAGIC LIVE!® is a USPTO registered trademark of Adam Steinfeld, in use, since 1999. Magic Live ® comedy, grand illusions show...highly interactive ...presenting one of the longest running permanent magic, grand illusions comedy shows. over 2,400 performances, at two mega island beach Aruba casino resorts in one of the longest permant magic / grand illusion shows throughout the world. What started as a 6 weeks booking ran over 10 year, breaking all house records! Adam Steinfeld is also director, filmmaker, and producing other on-line media TV and film series, twisted-tales; "Ask Madame Wonder? 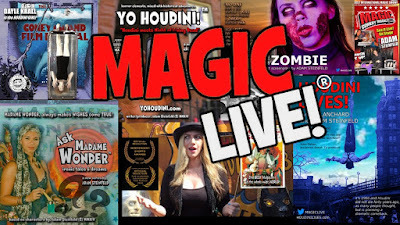 ", "Yo Houdini" and "Magic Island" reality show. 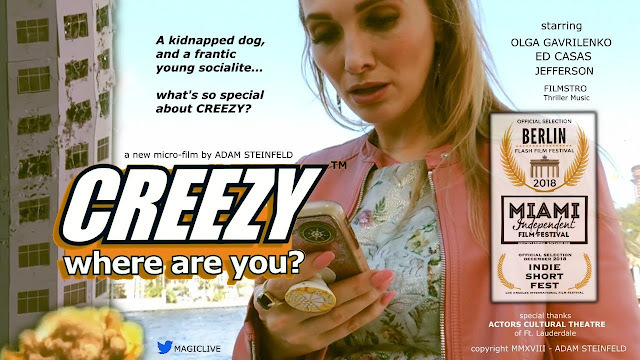 pictured with his lovely magic assistants. 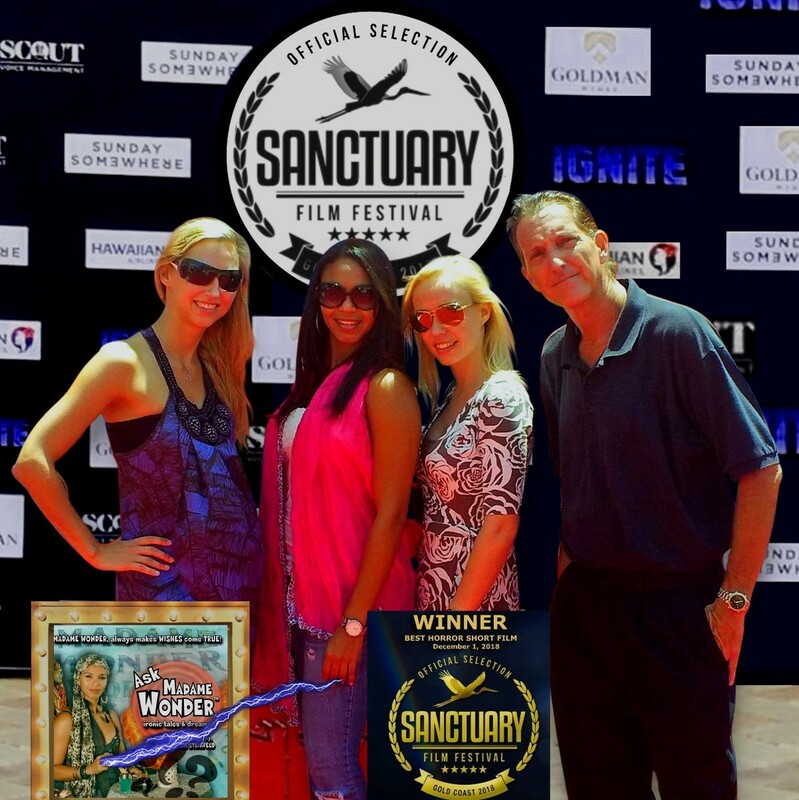 and on-line TV/Film media brands. MAGIC LIVE!® is a USPTO registered trademark of Adam Steinfeld, in use since 1999.
studied to be a filmmaker, at the Univ. of Miami, directing, writing and creating mini-versions of the Tonight show, and his final senior thesis short film "the Box" on iconic Houdini, he went to earn a Bachelor of Arts in Cinema and Television, all while performing as a skilled street-style magician that put himself through college. 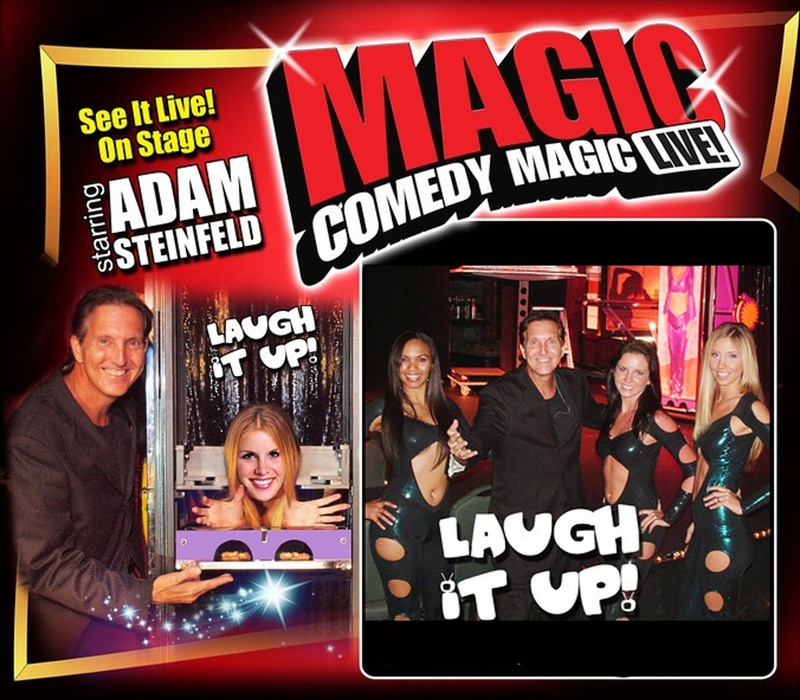 Soon after graduation, Steinfeld's travels focused on his magic skills, presenting at; Comedy Clubs and Mega-Cruise Ship around the Caribbean and the World, to performing and producing in one of the longest running permanent Magic Illusion shows in, over 2,400 LIVE shows; MAGIC LIVE!...comedy on the beach, at two mega island casino resorts in Aruba, that ran over a decade. 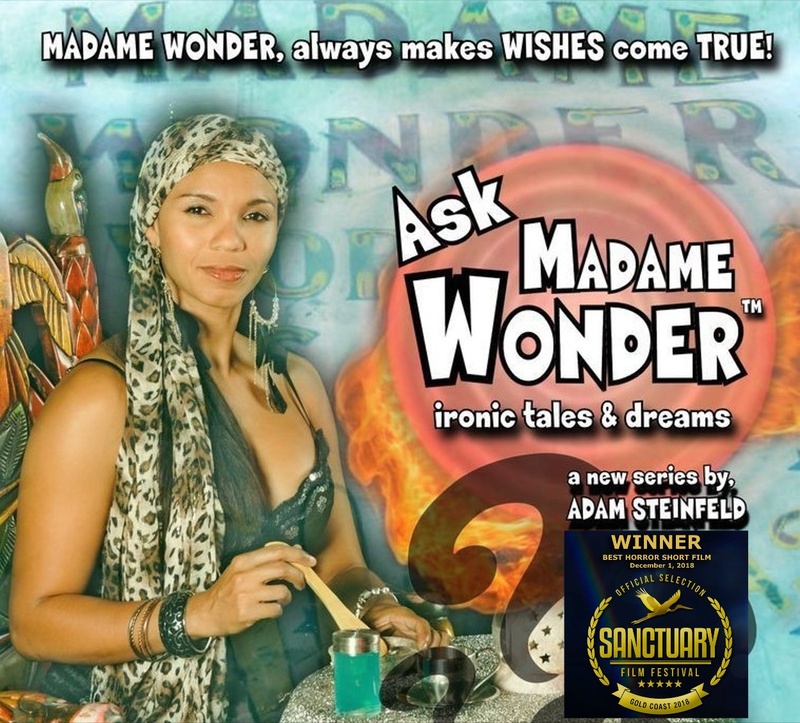 Now back in South Florida, Adam Steinfeld, is mixing his talents of Magic and Grand Illusions with storytelling, in several film and media projects from supernatural series; Ask Madame Wonder, Yo Houdini, and Houdini Lives!, Creezy, Where are you? 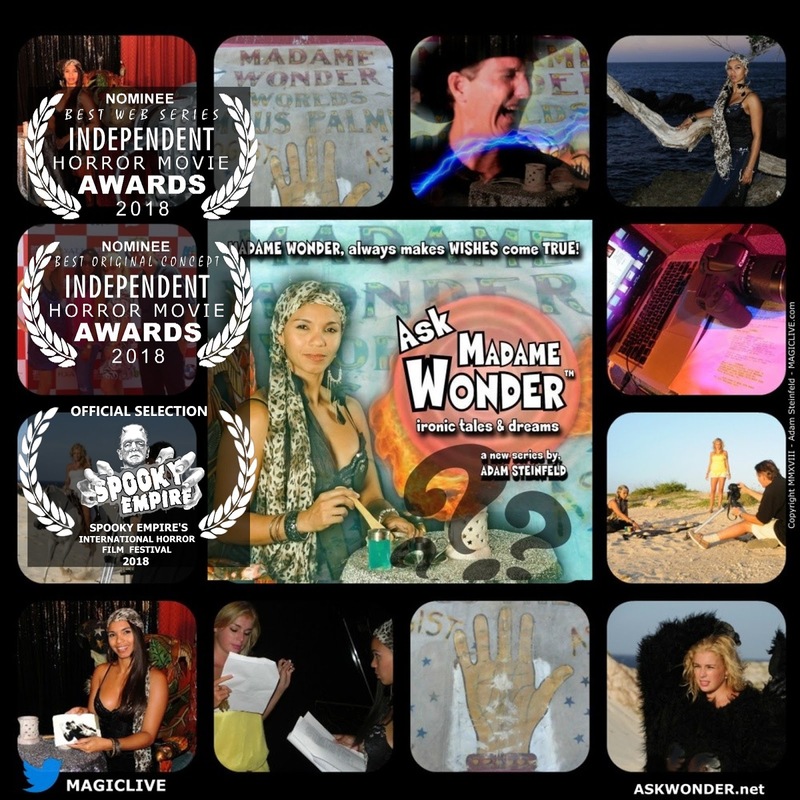 And reality series; Magic Island. 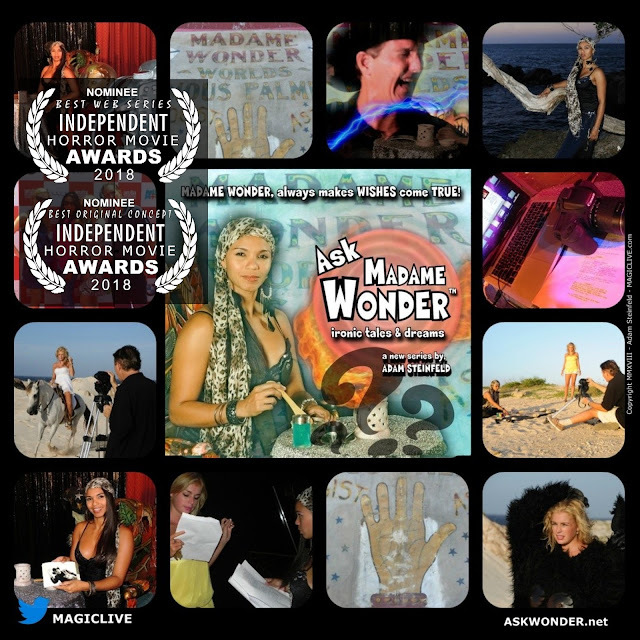 comedy and grand illusions shows and on-line TV/Film media brands. 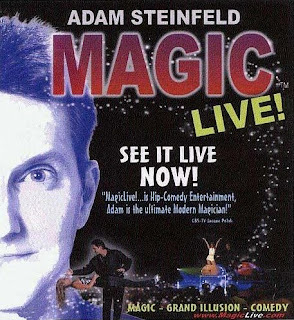 Magic Live! 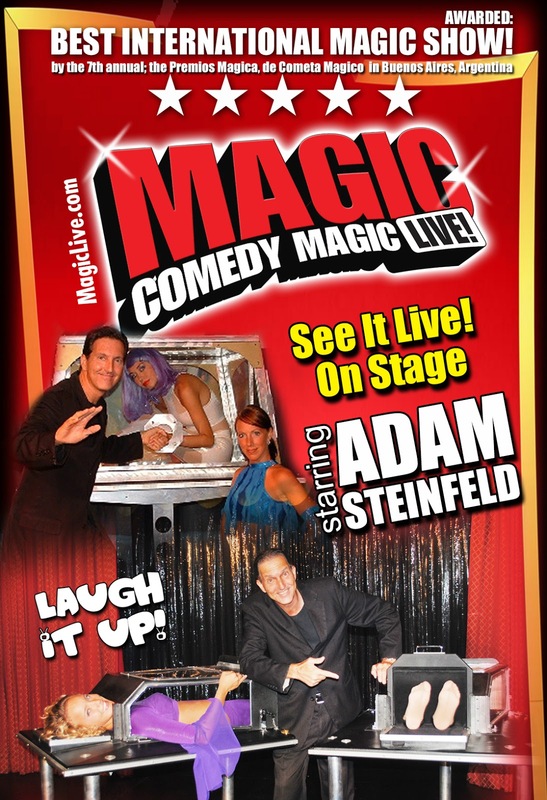 starring Adam Steinfeld, LIVE theatrical comedy and grand Illusions show. 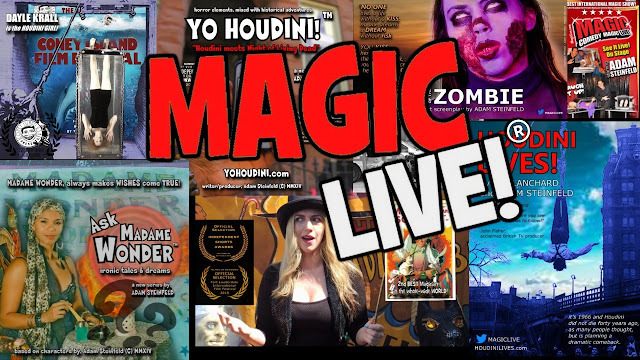 MAGIC LIVE! 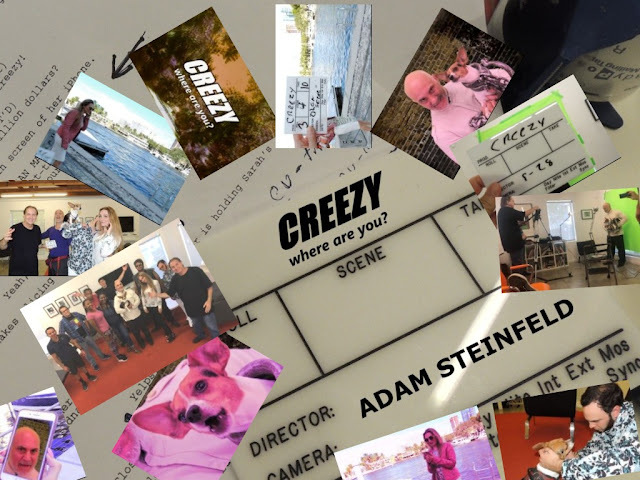 ® is a USPTO registered trademark of Adam Steinfeld, in use since 1999. 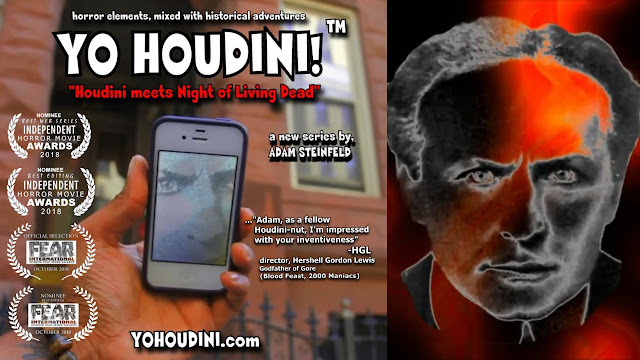 On a roll, my short horror film/series, "YO HOUDINI" has been chosen as an official selection of the FEAR INTERNATIONAL Horror Film Genre Awards in UK (October, 2018 Edition) plus has been nominated for BEST EDITING. 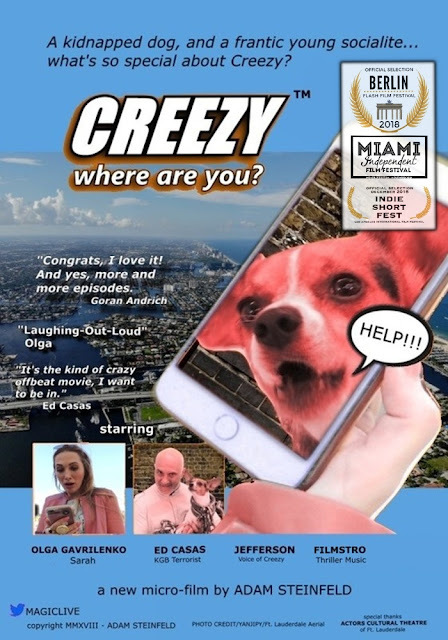 I added the new laurels, on the poster below. Congrats! 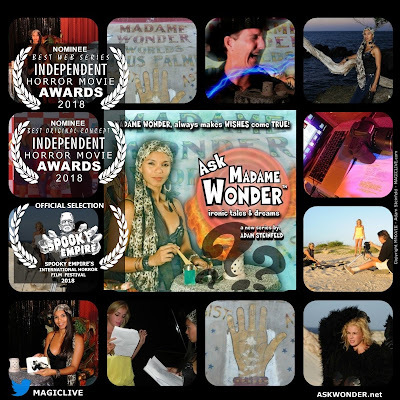 to Wonder, my short supernatural, twisted-tales film, "ASK MADAME WONDER", I directed back in Aruba has been accepted to the upcoming, Sanctuary Cove International Film Festival, on the Gold Coast, Dec 1st, 2018, it will screen on their massive outdoor screen. MAGIC LIVE! 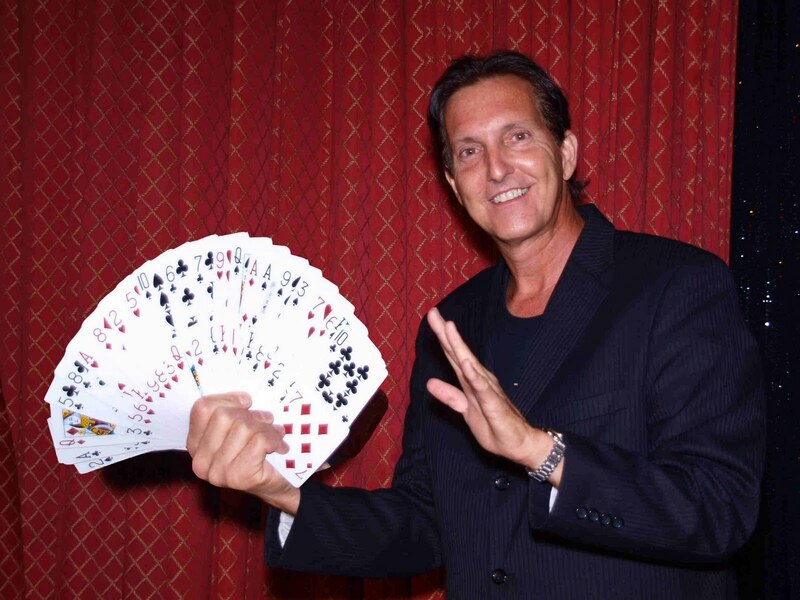 theatrical grand illusions, magic and comedy stage casino shows. 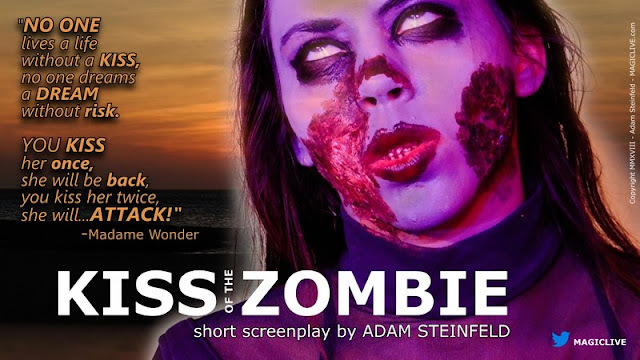 My horror / twisted-tales supernatural script, KISS of the ZOMBIE, I entered in the upcoming ISA Awards. ISA welcomes "Kiss of the Zombie"
A 2nd new poster, I created this morning for my micro-short thriller; "CREEZY, where are you? I directed and series creator.